Raksha bandhan is one of the biggest festivals in India and with all your love we did over 15000 orders this Raksha Bandhan. Shifts 24×7, Sleepless nights, endless tea, 30 people flocking in and out of office to make sure each one of you receive your gifts on time with product quality you would love. And this one review by Ms. Neeta Bhapkar made our all efforts look so meaningful. We can’t thank you enough for sharing this video review of your Rakhi gift with us. 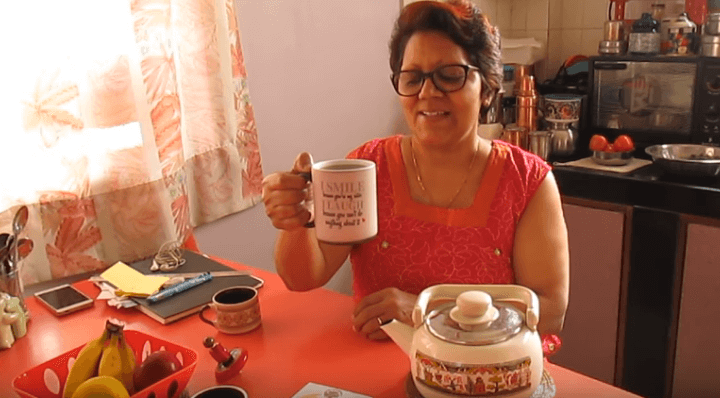 Star Cast: Ms. Neeta Bhapkar on receiving her proud gift of Funny Teasing Sister Magic Mug from her brother as Rakhi gifts for Sister this year! Magic mugs are translucent color at first but when filled with hot liquid, the image emerges on the surface, gradually. This mug is translucent color on the outside and white on the inside. The design would gradually show up on the personalized magic cups when something hot is poured into it like tea, coffee etc. and is a perfect way to surprise your dear ones!